Being a biker is not simply a hobby or a style, it is a state of mind, a lifestyle. That also means that it is much more difficult to a biker women to find her tattooed prince on a Harley or for a biker to find his queen. But don’t worry if you’re singe, there are lot of sites, clubs and conventions, where motorcyclists can rally and find their soulmates with the same passion. One of the simplest ways to find someone who makes your heart beat faster, is to join a biker dating site. You will not believe, how many social network sites exist, which are dedicated to find your other biker half. 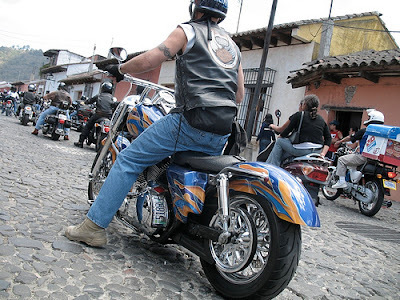 One of the most popular sites is BikerOrNot, which is a completely free biker social network. It is not a typical dating site, it is more likely a biker facebook, almost all motorcyclists are on this site, including married ones. That means, if you want to find a romantic interest on BikerOrNot, you have to double check every profile accurately.Plus, because it is free, the site does not preview every user. On the other side, on this site you will find all kind of riders, groups, clubs, stores and everything, that can be related to bikes, and I cannot say it enough times, it is completely free. If you are looking for someone, who you can share your riding experience with, Biker Planet is the online platform for you. It is very easy to set up an account, and you can immediately start searching for a lady who loves riding as a passenger or a man who owns a bike. Also, the site offers a habit based search, which finds the perfect riding partner for users. Just hit the search button, and you can start to plan your first adventure with a potential soulmate. Harley Davidson owners have their own social network at HarleyDatingSite.net, which is an outstanding dating site for Harley lovers. The Harley Club provides various special services to users, to find the special one, who also rides a Davidson. All Harley bikers know the different between Davidsoners and others, which would be a good topic on the first date. If we have to choose the king of motorcycle dating sites, it would probably be BikerKiss, which is a dating service since 2001. The 15 years old site has more than 512.000 registered bikers, and it also provides special features customizes for the registered ones. All users and changed profiles are checked by the site manually and it kicks out scammers immediately. It is possible, that you want to find the love of your life the old fashioned way. You can always help the work of fate, by attending motorcycle rallies and conventions, hit the local bikers club and become a regular.Or just go for a ride together and don’t forget to say a nice compliment for your possible significant other. It is always a good start to say something cool about his or her passion.